When we tackle uncertain economic times, stress on ourselves and our families seems to increase. 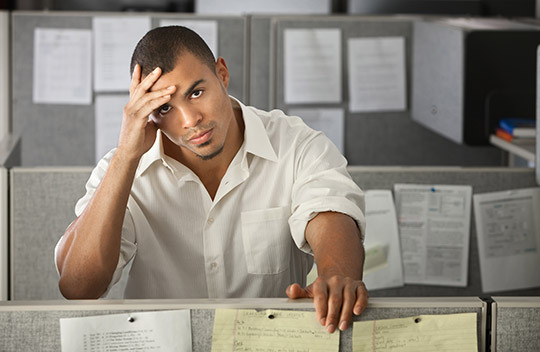 Stress from problems at home will ultimately lead to lost time and lost productivity in the workplace. Because the need for affordable counseling services is critical during these times, CSC offers a variety of programs and services that assist people who are facing tough issues at work and in their personal life. These types of services are not always covered under traditional healthcare coverage. As a community based organization that has been in existence for 40 years, Community Service Council has the experience and expertise to work with you and your employees in a professional, courteous, and confidential manner. The Employee Assistance Program (EAP) is offered by The Community Service Council of Northern Will County to local employers to bridge the gap between conventional health insurance coverage and the greater needs of employees. Through the EAP, an employer can offer their employees a service to cover needs in our clinical counseling areas. Through this program, your employees (and their dependents) will receive counseling at a reduced rate or at no charge, depending on the plan chosen. The cost to the employer is based on the number of employees and plan chosen. All assistance is completely confidential. Your employees would have access to our agency during normal business hours with any messages left after hours being returned the next business day. Please contact Robert Kalnicky at rkanicky@thecsc.org for further information or to setup an appointment to review our program in greater detail.